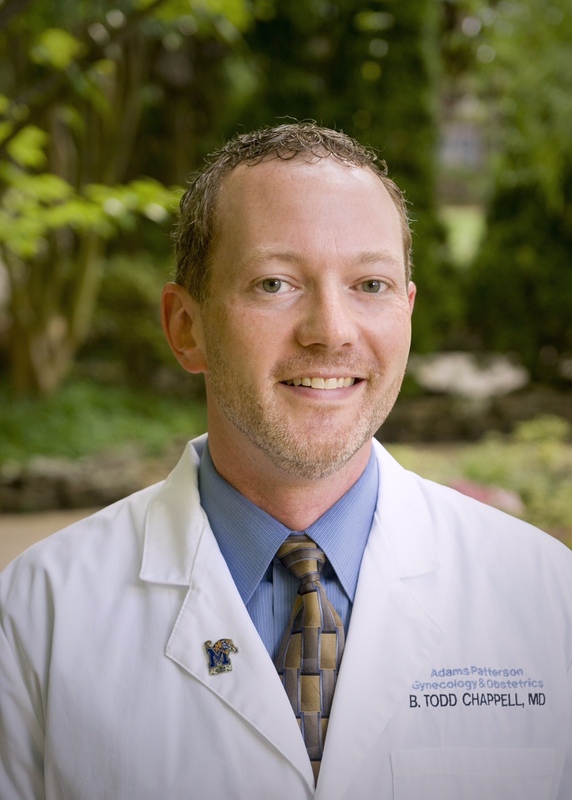 Dr. Todd Chappell graduated from the University of Memphis with a Bachelor of Science degree in Biology in 1999. He attended the University of Tennessee College of Medicine for his medical school training, receiving his M.D. there. Staying in Memphis for his residency at the University of Tennessee Health Science Center he served as administrative chief resident in his final year. His specialties include general obstetrics and gynecology including high-risk obstetrics, with a continued concentration in new technologies and minimally invasive techniques for the treatment of problems in women's health care including laparoscopy, hysteroscopy and robotic-assisted procedures, including "virtually scarless" single incision procedures. He also enjoys utilizing in-office procedures when appropriate, which can allow a patient to avoid the operating room for their treatment. When not at work, Dr. Chappell enjoys spending time with family and friends and his golden retriever Samson. He is an avid University of Memphis supporter and attends as many Tiger football and basketball games as possible. He also is a passionate fan of the Memphis Grizzlies.